What happens when the climate goes crazy? Find out as blizzards hit, forest fires sizzle and earthquakes rumble all across the globe! 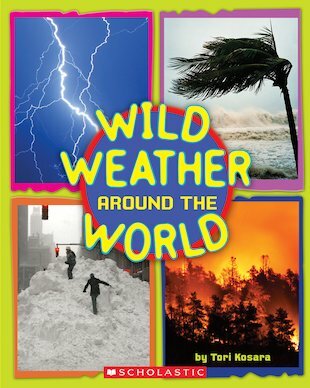 An exciting fact book packed with pictures and real-life stories of outrageous weather in action. Showing where wild weather comes from and the dramatic effects it can have, it highlights several famous examples of storms and extreme climate events.